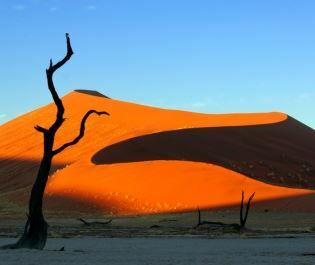 Namibia's flagship safari destination is easy to explore yet evocatively wild. A wonderful cast of mammals are always searching for water on the scorched savannah, so by exploring the waterholes you're immersed in all the drama of the wild. With abundant populations of rhino and big cats, we believe that Etosha is also a flagship for the whole of Africa. Dominating the heart of the national park is the shimmering Etosha salt pan. Etosha is an indigenous name that literally means 'great white place' and there's nothing quite like watching an elephant herd emerge from the mirage. Rustic amber and flowing reds provide the desert contrast, creating a landscape that's as phantasmal as Namibia always promises to be. Etosha's waterholes offer a fantastic spot to watch wildlife. Etosha's waterholes provide the only permanent fluids for thousands of miles, attracting vast herds of game in the dry season of May to November. 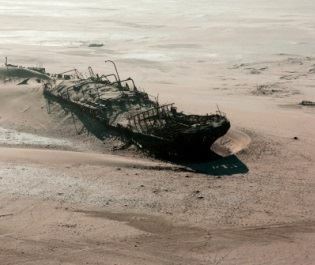 This coincides with winter and the more manageable desert temperatures. 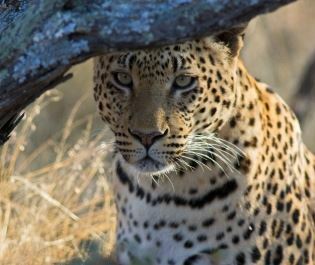 On the open savannah there are few places to hide so game viewing is very easy. Lionesses chase zebra herds, baboons shout raucously to warn black-faced impala of a nearby cheetah, and when rhinos meet with buffalos there's always a tense standoff. Best of all, we can recommend some excellent camps and lodges that overlook a permanent floodlit waterhole, so sublime wildlife memories are created when you're sitting back and relaxing on the balcony. A whole array of different antelope splash up water after the rains, galloping across the pan and slurping up the mineral-rich fluid. 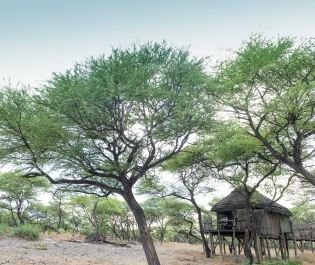 Etosha transforms into a green paradise and the low-season rates mean Etosha should remain high on your list when visiting Namibia during the wet summer months. 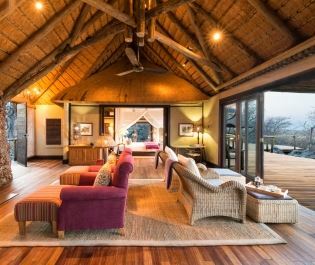 Exceptional guides help you get the best from an out-of-season safari as they can take you to the preferred hideouts of the big five residents. Regardless of when you visit, we'd also recommend combining the national park with one of the private reserves on the outskirts. Exceptionally rare experiences like tracking rhinos on foot, or bush picnics surrounded by elephants, mean these reserves more than justify their high price tag. 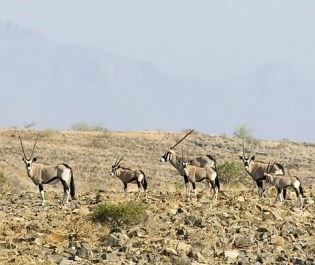 We've found that Etosha can epitomise both the Namibian and African experience. 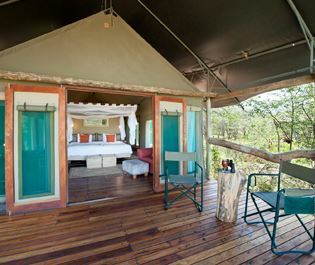 You get the strange and wonderful landscapes, plus the intimate excitement of a wild safari adventure. 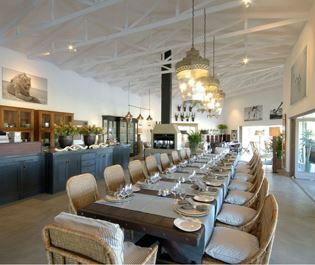 It's amongst our most treasured destinations on the whole continent. 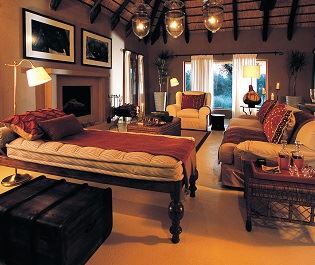 Very exclusive luxury lodge with just three lavish suites; perfect for a private safari that combines the best of Ongava Game Reserve and Etosha. 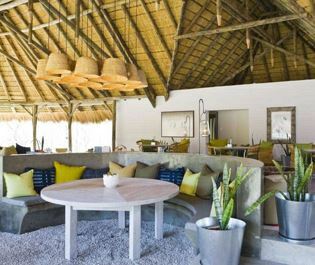 Close by to Etosha National Park, this old-worldy tented lodge oozes elegance, with magnificent outdoor lounging areas for looking out to the arid sands and unique wildlife. 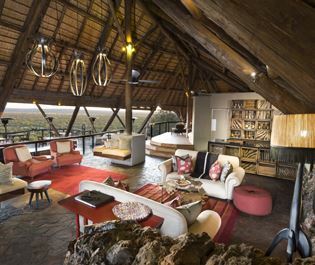 This is one of our most luxurious lodges in Namibia, boasting 14 beautiful lodges overlooking a wildlife abundant waterhole, fantastic activities, and divine local cuisine. 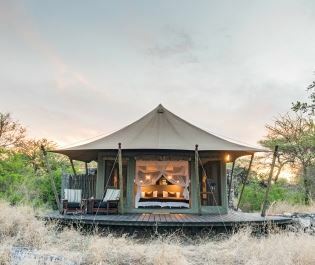 Enjoy an authentic meru-style safari camping experience, with traditional tents, views of a prolific waterhole, wonderful sundowners and close proximity to Etosha National Park. Surrounded by wildlife, this classic tented camp provides an immersive journey into the mystical world of the Etosha ecosystem. 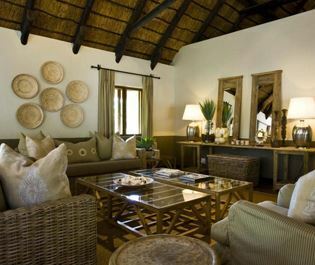 Distinctive luxury lodge with an ideal location along the edge of Onguma Reserve, very close to Etosha National Park. 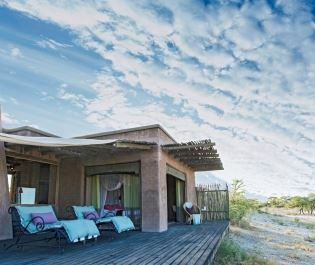 Perched above a popular waterhole, this luxury tented camp exudes a wilderness feel and offers a flexible program of safari activities in Etosha and Onguma. If you're looking for indulgence, these two villas have everything you need, from their own gardens, to gorgeous outdoor daybeds.